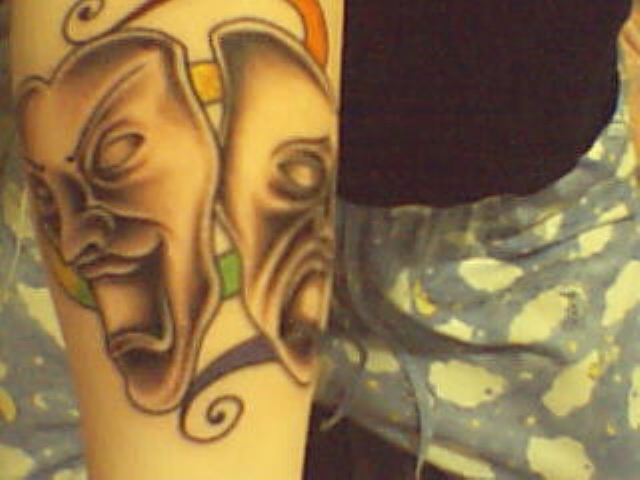 My Tattoo. . Wallpaper and background images in the 연기 club tagged: theatre comedy tragedy masks theatre acting comedy. Yup. I got it when I was 18 in Seattle, WA at a place called Super Genius. I still love it.